For all of you NYCers, you know space is a valuable commodity. I am a firm believer that you can make any size space incredible…and I have always done it on a small budget, so don’t think you have to spend a ton to make it happen. 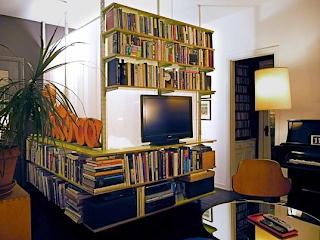 Check out the link above for Apartment Therapy’s feature on designing small spaces. My uncle’s partner Ariel put some serious muscle into his tiny apartment in LA and is a finalist in their national contest. His is the best in my opinion…seriously, no bias! Be sure to vote for him before April 30th if you agree, it only takes a few minutes. He’s also working on a green furniture project. Love it! Stay tuned for the final chapter of my backstory… A lil mo’ about me: Part III, next week.